Visual programming for Automated Trading Systems? The EquaMetrics company has announced a new product called RIZM which is a “visual programming” platform for trading systems (or algos, as they are known). This looks really cool, but I am skeptical. The idea is that you can “visually design complex trading strategies without a single line of code” according to the product literature. We know how complex trading algorithms can be, and that a huge amount of testing and parameter tuning is required to make a system backtest well enough to trade with in a live account. Can that be done without code? When Microsoft first released Visual Basic, there was a big concern among programmers that they (we) were becoming obsolete. I mean, if anyone could create a program by moving blocks around on the screen, who needs programmers? It turned out that the best Visual programmers were exactly that — programmers. The developers who already understood program structure, logical organized thinking, how to connect program modules together, and how to properly test software. Many things you couldn’t do with just visual blocks on the screen; you had to get behind the blocks and get into the code. I suspect the same might be true about RIZM. It might be a way to get into algo programming, but the best visual algo programmers will be the algo programmers who already understand coding for trading systems, and the same programmers would probably just prefer to write code. We’ll see. I may sign up for an account to get a first-hand view of the platform. How’d you like to learn my best kept secret? What if I told you there was a tool out there that would analyze market data, figure out which strategies could best trade that market, optimize those strategies, tell you your likelihood of profit, and then produce source code that you could dump into your trading software and begin using in the real markets? Let’s just say this mythical program exists. What would the features of this program be? It would have to be able to import any kind of historical trading data, for one. You’d want it to be able to analyze data from equities markets, futures markets and Forex markets; you’d want it to be able to analyze any time frame of data, from minute charts to daily, weekly, or monthly charts. You would also want it to be able to give it some guidance as to what kinds of strategies to look for, especially if you knew something about the market data you are analyzing. So, if you knew that a particular market moved in trends, you’d want to include moving averages in the strategy; if you knew the market data had frequent breakouts, you’d want to include Average True Range in the strategy; if you had traded that market well with Bollinger Bands, then you’d want to include that in the strategy. Ok, so what else? This mythical program would need to try a few strategies, and give you some feedback on how well they worked, then eliminate the less profitable ones, and improve the ones that looked good. Then the program would want to start with a pool of fairly good strategies, and improve those, and again, eliminate the losing ones, and improve the profitable ones. You would want to see the program in action, displaying equity curves and profitability reports as it did its work, yes? Then, maybe over a number of iterations, you might start to see some really good systems come forward. You would definitely want to be able to see any strategy that looked good, and be able to save it for further analysis later; you’d want it to be able to show you all the statistics about a strategy, such as percentage of winning trades versus losing trades; average winning and losing trade amounts, consecutive wins and losses; things like Expectancy, R-value, Maximum Adverse Excursion, Kelly ratios and all the little detailed numbers that would tell you how well this strategy would perform in the real world. Then, if we were really optimistic, this tool would then be able to just produce some source code that you could plop into a trading platform, of say, Metatrader or Tradestation, and begin using in the real markets. Wouldn’t that be amazing? You could just feed the program some market data, give it some starting parameters, and then watch it go to town. In a few hours of processing, you could take an algorithm and test it out in the markets. Wouldn’t that be totally amazing? Seriously, could such a thing exist? This program exists. It is called Builder. Adaptrade’s Builder is my secret weapon. Part of me wants to keep it a secret because it is such an amazing powerful tool, but the bigger part of me wants you to succeed in your trading systems beyond your wildest dreams, and Builder needs to be a part of your toolbox. When I first learned about Builder, I thought it had to be too good to be true; I mean, how could such an amazing program exist? And how could it be affordable? I downloaded the trial, and worked with it for a couple weeks, testing it, building strategies, back-testing, tweaking parameters, and running the resulting strategies. And then I bought it. It felt like I’d discovered a hidden secret. Make no mistake, this program is real, it is affordable, and it works. I use builder frequently, and it has had another effect on my programming. When I am coding a trading strategy by hand (which I still do), I will often compare the back-testing results of my hand-coded strategy with a winning strategy that Builder has created. It gives me a frame of reference for what might be possible or achievable for a given market data set. You need to try Builder. When you do, don’t keep it a secret. Build. Succeed. Share your success. Forex Trade Log is awesome. If you do any manual back-testing at all, you need this program. Almost every course or book I have read on trading mentions the need to practice the strategies and keep a record of your trades. Some suggest using an Excel template, or a paper notebook, or some online tool. But I swear by Forex Trade Log. 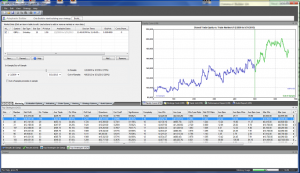 Forex Smart Tools has a couple different versions of this tool — Lite, Standard and Pro. I first bought Lite, and was so impressed, I upgraded to Pro very shortly afterward. And, as an automated systems developer, you need Pro. The features most helpful in the Pro for us are the the ability to import statements from various brokers into the trade log, and also sort them by strategy. But I’m getting ahead of myself here. First things first. So, what is the trade log? It’s a place to keep track of your trades. Whenever you place a trade, record it in the trade log. It’s that simple. What do you record? Well, the obvious entry and exit time and price, stops, trade size, buy/sell and profit or loss. But how about Stop Needed, and Ideal Stop, and Reason for Loss; maybe Entry trigger and Exit Trigger? And the best one? Screen shot. I use this all the time. When I am back-testing a strategy manually, every trade goes into the trade log, and I take a screen shot of every one. When the trade results in a loss, I record why it lost: Dumb mistake (I get a lot of those), Strategy Failed, Market Anomaly and Barely stopped out. Then, later, I can go back and look at the reasons for the losses. If there are a lot of dumb mistakes, I need to read up on the strategy again. If there are a lot of places where the strategy failed, then maybe it’s not such a good strategy. Other things I go back and look at are Notes and Lessons Learned. Both provide invaluable information that helps me later. 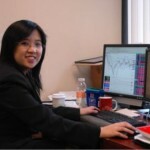 Recently, I needed to find a file of real trading information–of real trades taken–as input to an analysis program. 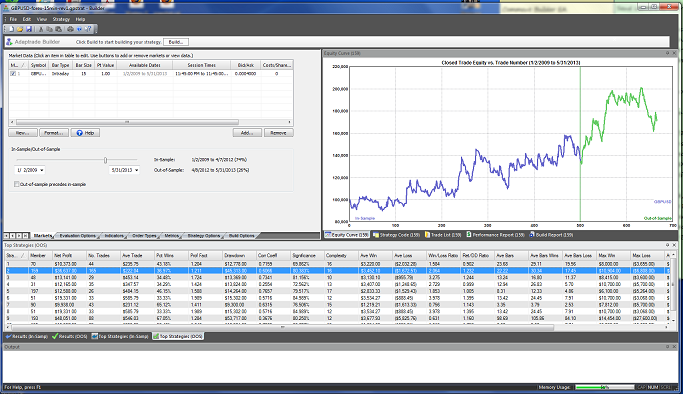 I realized I could export my data out of Forex Trade Log into a csv file, and was able to use that file for my analysis. That was the only place I had that information; the actual trade information had been long gone. Because I had stored all of that information in a the trade log, I was able to easily analyze my trading and look at certain metrics. Forex Trade Log is also useful for the automated system trader. I like to import trades from Metatrader 4’s Strategy Tester results into the trade log; there are some metrics on the summary and analysis tabs that show me things about the trades that are very helpful, such as equity graphs, and the ability to create my own time periods in which to see the trade results. Additionally, it’s just a good place to keep records of a strategy’s individual trades, that otherwise would be erased by the next run of strategy tester. Here’s the best part though: the creators of Forex Trade Log are documentation fanatics. There is so much good documentation out there, I haven’t even seen it all. There are FAQ’s, help files, and videos, videos, videos! Every feature has an associated video that shows you how to use it. They have a newsletter that has amazing information in it, and the developers use this tool themselves. For both the discretionary trader and the automated systems trader, the Forex Trade Log is invaluable.